As the December-months of 2012 are drawing to a close, the annual obsessive listing of “best photobooks” has arrived. As always it’s accompanied by the rhetorical use of unbalanced comparatives. To put a substantive in plural after the adjective “best” sounds illogical to me. Why “best books” and not “better books”? Otherwise each best book should be the best in its own category with a list of better books (better than average, better than good, or better than bad). I do agree that making and publishing lists can be a means to have others discover books that otherwise might have been condemned to an afterlife in the shadows, yet it remains a superficial practice of spreading the word about good books. Above all, the photobook hasn’t been shy of attention recently as Paris Photo and Offprint featured an incredible array of photobooks past and present. So much attention and publicity the photobook has gotten as the past decade — through fairs, awards, anthologies, lectures, meetings, clubs, blogs, The Photobook Review et cet. — it does render these lists superfluous. They do give the impression of functioning as sales mechanisms rather than meaningful entrance points for further study and discussion. American magazine photo-eye, probably the most influential publisher of end-of-the-year “best photobooks” lists, is aware of the controversy it raises, but considering my aforementioned point about the increased attention to (and promotion of) photobooks, I can’t really subscribe to their justification for yet another vertigo of lists: “[…] we strive for a diversity that will shed light on corners of the photoworld that we may miss”. For those seeking to read a bit more on featured titles, fortunately most of them have been reviewed. 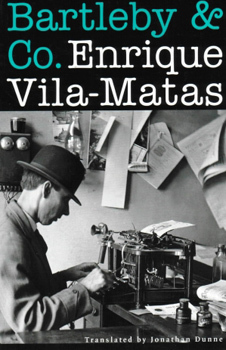 Being a fan of procrastination and often suffering from endless doubts about how to write, a great discovery this year are the tragicomical anti-novels of the Catalan writer Enrique Vila-Matas. Thanks to a friend in New York City who started working at New Directions, I got to know and read Bartleby & Co., which is compiled as a collection of footnotes about writers of the NO, writers who never even started writing or writers who after publishing a book or poem or two stopped writing altogether. Negation is an intricate virtue of language, much less so of photography (on a sidenote: we’ve also left the negative-positive era of the latter medium). A book or anthology of photographers who photograph negation or of photographers “who prefer not to” has yet to be made. Therefore, Photographs Not Taken is another surprise of this year’s photobook publications, although this collection of essays written by photographers about photographs they didn’t take can hardly be called a photobook. The future for seeing, studying and debating photobooks will be taking place, to a large extent, in the vertiginous depths of the seemingly boundless online world. Seaworthy ships for surfing are required. P.S. (1) My “best of the best books” this year, once again, is the Daodejing, which remains fresh and actual year after year. Plus, it contains an infinity of untaken photographs. P.S. (2) Christoph Schaden has some interesting notes and sharp remarks about the photobook ranking and listing hype in this blogpost (in German). Thanks for mentioning the iBook, was great fun to produce and glad it has brought the book to a new audience. Many thanks to you, Ken Schles, and everyone else involved in the creation of a contextualized digital ‘reissue’ of a ‘classic’ photobook. An apt and contemporary format, and freely available! Somewhat of a different and more accessible model for studying the original sequencing and lay-out of an expensive and hard-to-find photobook than the studies on photobooks of e.g. Errata Editions.